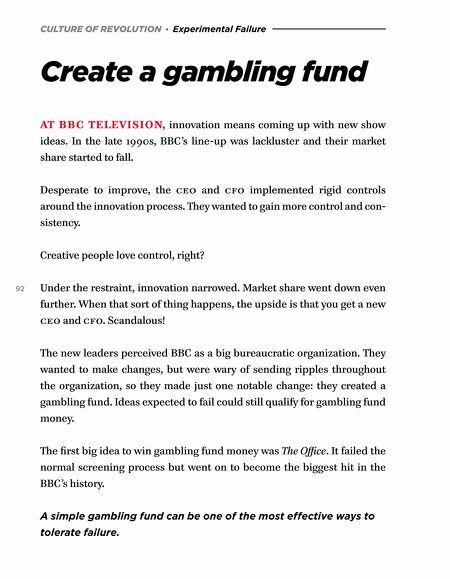 CULTURE OF REVOLUTION · Experimental Failure Create a gambling fund AT BBC TELEVISION, innovation means coming up with new show ideas. In the late 1990s, BBC's line-up was lackluster and their market share started to fall. Desperate to improve, the ceo and cfo implemented rigid controls around the innovation process. They wanted to gain more control and con- sistency. Creative people love control, right? 92 Under the restraint, innovation narrowed. Market share went down even further. When that sort of thing happens, the upside is that you get a new ceo and cfo. Scandalous! The new leaders perceived BBC as a big bureaucratic organization. They wanted to make changes, but were wary of sending ripples throughout the organization, so they made just one notable change: they created a gambling fund. Ideas expected to fail could still qualify for gambling fund money. 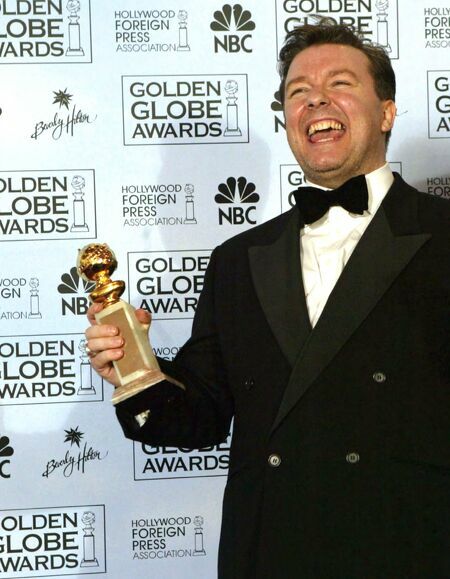 The first big idea to win gambling fund money was The Office. It failed the normal screening process but went on to become the biggest hit in the BBC's history. A simple gambling fund can be one of the most effective ways to tolerate failure.